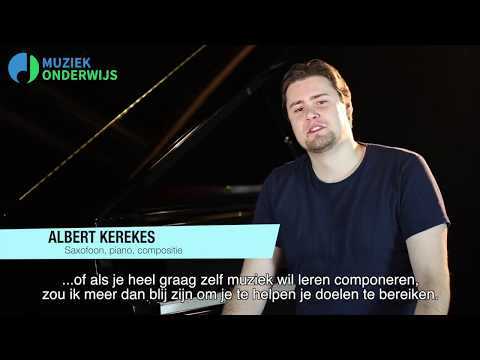 Albert K. - neem contact op en Start vandaag met Muziekles! Would you like to learn to play your favorite piece of music? Or would you like to compose/write your own music? It is my personal mission and goal to help you achieve your goals and have fun while doing it! My name is Albert Kerekes. I’m a saxophonist, composer and educator. fields ranging from Classical, Popular, Latin, Balkan to jazz. I’ve been performing in festivals in Europe and Asia (Taiwan). Besides performing I like to dedicate my time to teaching because it always fills me up with joy, new energy and fulfillment. You know how they say? Not only the student learns from the teacher but the teacher learns from the student as well! All subjects are for all levels from beginners to advanced. In the first lesson, we’ll have a nice chat about you, the music you like, your wishes and goals in a cozy friendly environment with some thee, coffee or juice. We’ll make a lesson plan tailored to your needs and wishes. The lessons usually take place at my home. On request, I can also teach at your home if that’s more convenient and comfortable for you. I’m looking forward to meeting and working with you!